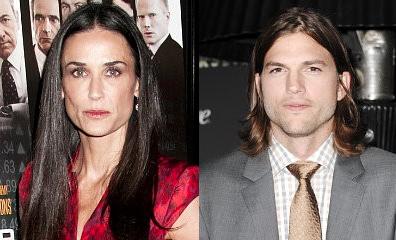 Ashton Kutcher called Demi Moore to tell her Mila Kunis was pregnant before the news hit the media. DEMI Moore was one of the first people to know about Mila Kunis‘ pregnancy. According to RadarOnline, the actress’ ex-husband, Ashton Kutcher, called Demi to give her the head’s up that his fiance is expecting. “Demi was one of the first people Ashton called when he found out Mila was expecting his first child,” a source said. “While that might seem shocking to many given their bitter breakup, it’s just Ashton’s style to inform Demi before the news broke. He was fully aware of how much Mila’s news would affect Demi and wanted to be the one to tell her personally. Kutcher, 36, and Moore, 51, split up in 2011 after the actor allegedly cheated on his much older wife with a college student. The actor started dating his former That ’70s Show co-star Kunis, 30, in 2012 and in November 2013, his divorce from Moore was final. “Demi knows how badly Ashton wants to be a father and have a huge family – they tried to conceive a kid together for years with no luck,” said the source. “Ashton is desperate to have a big family, and it’s something Mila and he have been open about with their friends.